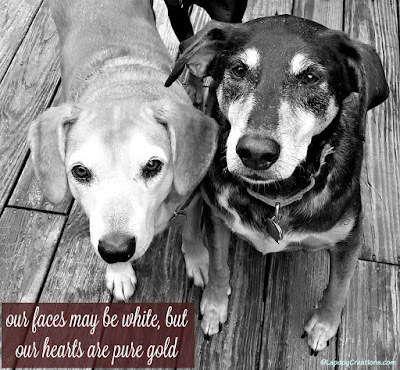 Not only are they beautiful white-faced babies with hearts of gold, Sophie and Tut are also my two failed fosters. Each came with their own story of survival, and each quickly stole our hearts and our home. 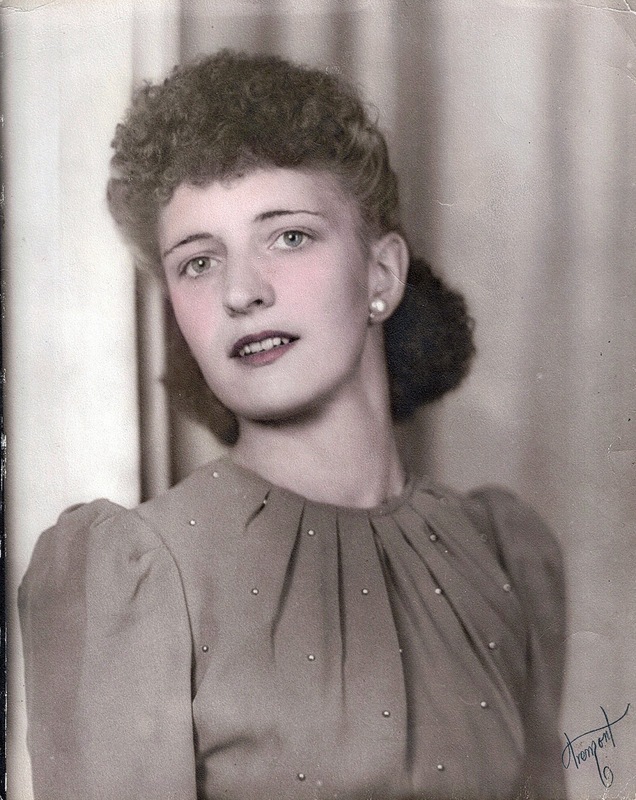 Today I am also thinking about the spunkiest senior I've ever known, my Grandmother. Nana would have celebrated her 95th birthday this past Thursday. It's hard to believe nearly 13 years have passed since we said goodbye. Who are you honoring and celebrating today? My list could go on and on, but I refuse to think of my parents as "seniors." After all, I'm not old enough to have parents that old, am I? Beautiful photo of your grandmother. They were so stylish back then - so comfortable today but kind of miss the days when people dressed up to go to a nice restaurant, concerts, etc. I'm sure your parents appreciate not being considered seniors yet :) The "failed fosters" are adorable. I didn't know it was Nat'l Sr. Citizens Day, Happy Senior Citizen's Day Sophie & Teutul! Hope you got some special treats on this special day. Like I always say, Senior Dogs ROCK! Well, you know we love senior dogs at this house. We adore our senior dog too! We didn't realize yesterday was Nat'l Sr. Citizens Day, we will have to do something extra special for him this week! You ever heard of the iron nun? Talk about incredible senior! 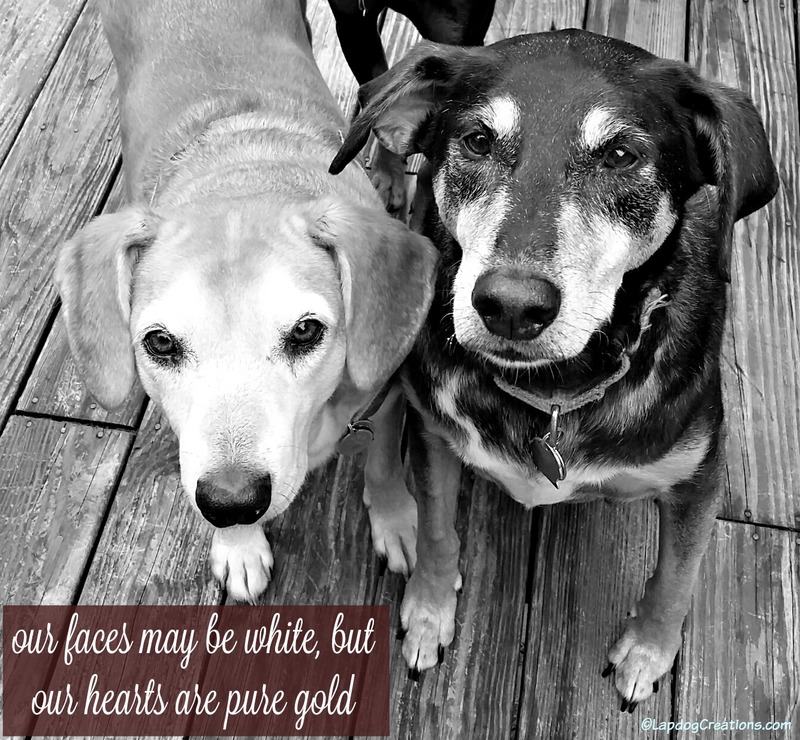 And I love white muzzles. So precious. I have two senior mutts! Both rescues and we celebrated with lots of belly rubs and treats. My boy especially has gotten grey and has arthritis issues, and I love taking them on walks to keep them active! There is nothing more precious than the relationship with have with our senior animals! My old dog Bruisy and I have been together for almost 13 years and I literally know what he's thinking and what he needs, when. I was looking at pics when he was just a young guy and it's amazing... happy belated senior day to your guys! Happy happy day! It's always wonderful to have a chance to champion those that are close to our hearts. Please give some extra smooches to your senior pups for me. I always think of my girl scout leader on days like today, who passed away over a decade ago. Every time I see a hawk (I've noticed quite a few today) I know she's coming around to check in. My parent's dog, Ginger, is 10. So, I think she counts as a senior. However, Ginger doesn't seem to know that she is 10 and continues to act like a much younger dog. We are lucky that she is still in such good health! Lovely photos and subjects! It's hard for me to get my head around, but my corgis will both be 7 (and considered seniors) in 4-5 months. That's in addition to my senior foster dog (11) and three cats (7, 13, 16). They are all precious too! I have two seniors in the house. Love them more every day. We have not. Will have to check that out!